What is a freshwater macroinvertebrate? Let’s break down the term. “Macro” means big (or big enough for us to see without using a microscope) and “invertebrate” means without a backbone. So a freshwater macroinvertebrate is a small animal, without a backbone, that we can see with our naked eye. Many of these creatures make their homes in rocks, leaves and sediment in stream beds. Some spend their entire lives in water, like scuds, clams, mussels and snails. However, for most insects the larva and nymph stages (the young stages of insects’ lives) are spent in water and the adult will spend its life out of the water. Water quality studies in the Dungeness River at Railroad Bridge Park have turned up many such creatures. Insect larvae such as stoneflies, mayflies, and caddisflies are associated with relatively clean water with lots of oxygen, suitable for fish such as salmon and trout. Most insects found in the river are in immature stages. These “immatures” are either described as “larva” or “nymph,” which are truly different from each other. A nymph is an immature stage that is basically similar to the adults in shape and structure, just smaller and not old enough to reproduce. A larva is an immature stage that differs greatly from the adult. The insect forms listed below have been found in the Dungeness by screening or netting. Other organisms are possible, but not all are confirmed. Caddisfly larvae are wormlike with six legs near the head. They build cases to protect them from predators, and allow them to live in fast moving water. Caddisflies exist as larvae for only 1-2 weeks. Dobsonfly larvae have a caterpillar-like body with large, pinching mouthparts. They are yellow or brown and have six hooked legs on their chest and eight feathery appendages on their bellies. Mayflies live in water for 2-3 years as larvae. They have gills down the sides of their bellies, large eyes, 1 claw at the end of each leg and 2-3 tails. Adults can have as little as 24 hours to live. Stoneflies have hairy looking gills under their arms and on their chests. When there isn’t enough oxygen in the water, they will do “push-ups” to move the water past their gills. Cranefly larvae live under rocks and plants in a river or stream. Their heads can pull it back inside their body and may be hard to see. Cranefly larvae can be up to four inches long. Damselfly nymph are a color of dull green. They can grow legs back if they lose one. They have oar-shaped “tails,” gills at the end of the belly. Dragonfly nymphs live in ponds and slow-moving streams or rivers. They have fat bellies and large eyes. Dragonfly larvae eat tiny animals in the water, and can eat small fish. Water Boatmen’s back legs have long hairs which make them look like oars and help them swim. Water Boatmen breathe air from the surface of the water by trapping it in hairs on their abdomen. Gilled snails have a soft body surrounded by hard, spiral shell. The shell has a plate-like door at its opening. Gilled snails feed on algae, and lay eggs on rocks and plants in the water. Pouch snails have a soft body surrounded by hard, spiral shell, of gray, tan, black, or brown. They feed on algae and other water plants and sometimes dead plants and animal matter. Freshwater clams have a soft body enclosed within two hinged shells. They have a fleshy “foot” which they use to burrow. Clams feed by filtering plankton and other organic matter from the water. Planaria are flatworms with an unsegmented, soft, flat body. The head is arrow-shaped with distinct eye spots. Planaria can constrict the body to be fat or extend and be very long, and can regrow lost body parts. Nematodes have barrel-shaped body and S-shaped, wriggling movement which they use to propel themselves through the water. Most are too small to see, but a few can grow much larger. 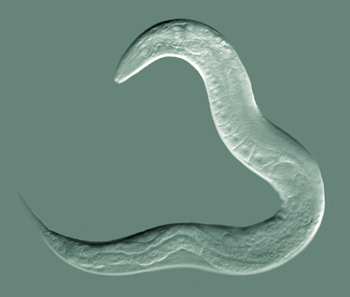 Segmented worms have a long, thin, segmented body. They resemble an earthworm, but are much more slender. They can grow up to 3″ in length. Aquatic worms filter out organic debris from the water. Leeches have wormlike bodies composed of many segments. Their bodies can easily change shape and are often flattened. They have suckers on the underside of the body at both ends, which they use to feed. Like small lobsters, large front claw. They can grow up to six inches long, and come in red, orange or brown. Crayfish are scavengers and feed on living and rotting plants in the water, worms, insects and snails. Scuds have a flattened body very similar to a shrimp, which is covered by a hard, platelike shell. They have seven pairs of tiny legs and propel themselves through the water on their sides. Aquatic mites look like spiders with 8 legs and soft bodies. They like shallow, still water with lots of plants. Water Mite larvae are parasites, and they need a host on which to live. Aquatic sow bugs have a flat body and use gills to breathe. Sowbugs are “shredders” that feed by ripping apart plant material. They provide food for small fish and many other aquatic animals.